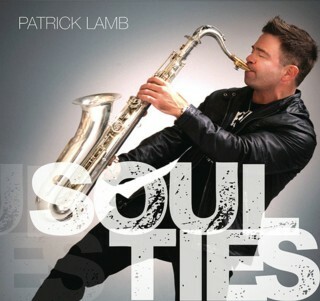 Patrick Lamb releases his fourth full length album, Soul Ties, with Los Angeles Grammy winning keyboardist Jeff Lorber and an all-star cast of Los Angeles musicians. With roots in the Mississippi Delta, Patrick got his first saxophone from his grandmother who bought it at a garage sale for $50.00 and he’s come a long way since then. From Australia to Japan to Europe to China, Patrick has become an International musician who crosses all musical lines. He has performed in the White House (twice), the Kennedy Center and traveled the world with Gino Vannelli. A member of the Oregon Music Hall of Fame, Patrick’s latest is a fusion of Soul, Funk and Jazz recorded with a band of renowned players. His last three singles have made top five on the Billboard charts. The City of Portland has awared him their Independent Spirit Award for his unselfish acts of philanthropy. "Pick Up The Pieces EP"